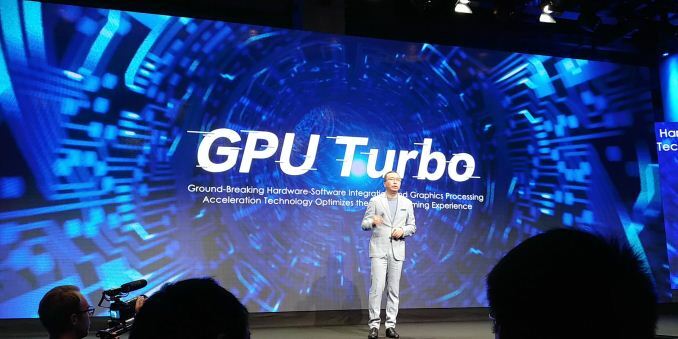 One of the biggest announcements from Huawei this year is that of its new GPU Turbo technology. The claims that it could provide more performance at less power, without a hardware change gave us quite a bit of pause. Internally, more than a few raised eyebrows appeared. As part of our discussions with Huawei this year at IFA, as well as some pretesting, we actually now have a base understanding of the technology, as well as additional insight into some of the marketing tactics – not all of which are the most honest representations of the new feature. GPU Turbo is said to be a new mechanism that promised great performance and power improvements to new and existing devices. The new ‘technology’ was something that was first introduced in early June with the Chinese release of the Honor Play, and will be updated to a version ‘2.0’ with the launch of EMUI 9.0 later in the year. Over the next few months Huawei plans to release the technology on all of its mainstream devices, as well as going back through its catalogue. Huawei promises that all devices, irrespective of hardware, will be able to benefit. From the weeks following the release of GPU Turbo on the first few devices, we saw quite a lot of hype and marketing efforts on Honor and Huawei’s side with the goal of promoting GPU Turbo. Over all the presentations, press releases promoted articles, and fuzzy press analysis, one important thing was consistently missing: we saw no technical explanation as to what GPU Turbo actually is and how it works. Everything was about results, but nothing was about details. At AnandTech, it’s the details that really resonate in our understanding, as to whether a new feature is genuine or not. Huawei, to its credit, did try to reach out to us, but neither the company nor PR ever really responded when we asked for a more technical briefing on the new mechanism. We’re not sure what the reason was for this, as historically the company has often been open to technical discussions. On the plus side, at this year’s IFA, we finally had the chance to meet with a team of Huawei’s hardware and software engineers/managers. Through these discussions, we developed some detailed explanations that finally made more sense of the past month’s marketing claims. The plus side of this is that we now have a better understanding of what GPU Turbo actually does (and it makes sense), although it also puts a chunk of the marketing slides on the ignore pile. In this first piece on GPU Turbo, we’re going to go through the story of the feature in stages. First, we’ll look at Huawei’s initial claims about the technology: specifically the numbers. Second, we’ll go deeper into what GPU Turbo actually does. Third, we examine the devices we do have with the technology, to see what differences we can observe, and finally we address the marketing, which really needs to be scrutinized. It should be noted that time permitting, and resources permitting, we want to go deeper into GPU Turbo. With the upcoming launch of the Mate 20 and the new Kirin 980 SoC inside, we will want to do a more detailed analysis with more data. This is only the beginning of the story into GPU Turbo. Good first step but could be expanded well beyond the GPU and the entire system built around it. This presents a quandary for benchmarking/reviewing: In the past, if a company released drivers that changed the performance of the device while running a specific app, we'd all call it "cheating" if that app was a benchmark. However, by extending the "cheats" to other apps, the user sees real benefits, even though it's the same behavior.